These muscle building stacks have your name on them! With your specific goals in mind, we've come up with three quality supplement stacks that will help you pack on the lean muscle mass regardless of your ability. Whether you're a beginner, intermediate or advanced, we've got what you need. We're the experts you can trust to equip you with the right supplements to build quality muscle...nothing more, nothing less! The Women's Over 40 Progressive Muscle Building stack has been designed to support your daily muscle gain needs. With a multivitamin and essential fatty acids, your general health and wellness supplements are covered. If there's one nutrient that's an absolute must in your diet, protein is it. Protein forms the building blocks for your muscle tissue, so without it your body would lack a critical component needed for muscle to even exist. Whey is one of the best absorbed forms of protein in the body, even higher than chicken or fish. The benefits are vast! Video Guide to Whey Protein (1:00) View Your Full Guide To Whey Protein! Multi-vitamins are one of the best investments one can make in supplementing their exercise and diet. * Essentially, multi-vitamins encourage efficiency in your body for all of its various functions. * Deficiency in any one vitamin can result in a multiplier effect, meaning that missing one vitamin can negatively affect multiple body functions. Video Guide to Multivitamins (1:04) View Your Full Guide To Multivitamins! Video Guide to Casein (1:03) View Your Full Guide To Casein! Since your body cannot produce essential fatty acids (EFAs) on its own, you have to get EFAs from the foods you eat like salmon, flax seeds, or other cold water fish. You can also supplement your intake of EFAs with supplemental products. Taking an EFA supplement may be helpful in many different areas. Video Guide to EFAs! (1:07) View Your Full Guide To EFAs! Video Guide to Pre-Workout Boosters! 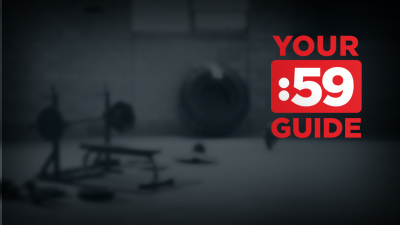 (0:50) View Your Full Guide To Pre-Workout Boosters! Video Guide to BCAAs! (1:07) View Your Full Guide To BCAAs! Nitric oxide is a vasodilator that promote blood and oxygen flow. Feel the muscle pump and get the best workouts of your life with NO boosters! Excess estrogen may cause you to gain fat and retain water. Promote normal estrogen levels with anti-estrogen products! Want to gain lean muscle? Methoxyisoflavone and Ecdysterone promotes protein synthesis and nitrogen balance for results! Support your muscle building capacity by regulating Myostatin. * Check out our wide selection of Myostatin products!